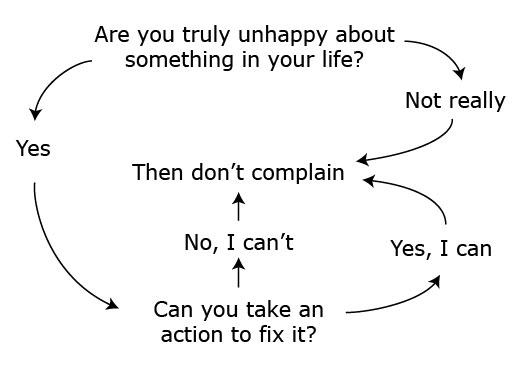 Loved the flow chart! I read a few of your posts and you have just about the worse luck with customers! It’s scary to think that there are actually so many obnoxious people these days, you deserve a medal – and a better job! Cracking up! And I’m SO stealing this pic. Love. I think you should compile these posts into a book. I will never forget the time when I had this big party of 10, they were my only table! 30 minutes into it, after they had started on their food and I did the two minute two bite check, they started complaining that my service sucked! They were my only table and I was checking on them every 3 minutes!! Anyway, turns out one of the couples from the table left early saying they were embarrassed because the other people always try to complain to get a discount…..can you believe the nerve???? HAha… seriously, sometimes people just need to realize things are out of their control and deal with what ever happens. I am AMAZINGLY picky when ordering, but even I have to just shut-up and not complain once the food is served. Love the workable flow sheet! I may borrow it. Thank you for the laugh! every person should paste that to their ceiling. Great post there. Thanks for sharing! !